The average person makes about 35,000 decisions every day—from choosing an outfit to deciding which seat to take at a meeting. In fact, we make 200 judgments each day about food alone. But research shows that all that decision making can be mentally and physically draining. Although the idea of willpower as a finite resource is now contested in the field of psychology, it’s well documented that humans have a limited reserve of daily energy that’s dependent on adequate rest and sustenance. As these reservoirs are depleted, our ability to make sound judgments can deteriorate—whether that means buying on impulse, skipping the gym, or overreacting to a mild annoyance. Case in point: Hungry judges rule differently. One study found that judges’ percentage of favorable rulings was highest in the mornings, steadily declining as the day went on. Why? As the day wore on, judges got decision fatigue and needed a break to refuel. After taking a lunch break, the likelihood of a favorable ruling jumped back up again, only to fall again by the end of the day. The trick to making better decisions, then, is to figure out how to manage your internal resources and acknowledge your limits. As a human behavior expert and executive coach who is constantly engaged in cognitively demanding deep work, I’ve found that one of the most powerful tools for dealing with decision fatigue is a simple self-care practice commonly used to manage stress, called HALT. We often have a hard time acknowledging our limits. Instead, we power on, stay busy, and deny our need for recovery. That’s because decision fatigue essentially switches off our ability to self-monitor. We fail to recognize the symptoms that are telling us we need a break. The framework includes the basic needs that are hardwired into our biology. If you’re dealing with any of these problems, you’re more likely to respond negatively to stressors and make bad decisions. This tool can help you better care for yourself and stay in control of your reactions—whether in personal relationships or in business. Low blood sugar can mimic anxiety and panic symptoms, studies show, so practice “hanger” management. Avoid skipping meals or going too long without eating. If you do find that you’re hungry, pause before you accidentally fire off a defensive email to your boss and find yourself a snack. While anger is uncomfortable, it’s a normal human emotion and important to deal with constructively. Research suggests that venting does more harm than good, so think twice before lashing out on Twitter or passive-aggressively slamming doors to let your partner know you’re mad. However, bottling up your frustrations or ignoring them doesn’t work either. Instead, try journaling, progressive relaxation, or mindfulness exercises to get your prefrontal cortex back in the driver’s seat. 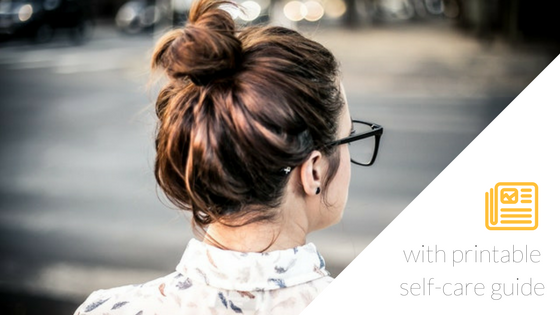 Feeling rejected, misunderstood, or alone can lead to internalizing behaviors such as self-imposed isolation and withdrawal. Humans need interaction to survive, so it’s important to tend to your social needs, even if you’re shy or introverted. If you find yourself on the verge of making an emotional or impulsive decision, it may be that loneliness—rather than logic—is driving your thinking. Pick up the phone to call a friend, force yourself to go to book club, or ask a co-worker out to coffee before returning to the matter at hand. You’ll be a lot more likely to make a sound choice if your emotional reserves are full. It’s common to tout “being busy” as a badge of honor, but living in a state of perpetual exhaustion is not sustainable. Build time into your schedule for adequate rest and recovery, and be diligent about practicing sleep hygiene. If technology is negatively effecting your well-being, consider a digital detox. Leaving a 15-minute buffer in between all appointments in order to give me wiggle room to HALT, decompress, and replenish if needed. Eating the same thing every day to limit decision fatigue. Call me boring, but it helps me direct more energy towards creative projects. To stave off the loneliness of working alone, I make sure to end days with an activity that will place me around other people—whether that’s a networking event, yoga class, or simply spending a few hours writing in a café. The next time you’re feeling overwhelmed, foggy, frustrated or derailed in any way, try asking yourself: “Am I hungry, angry, lonely, or tried?” You may be surprised by how quickly your problems resolve after a snack. // first published on Quartz. Get the guide plus exclusive resources and updates when you join my email list. Success! Now check your email to get your guide.